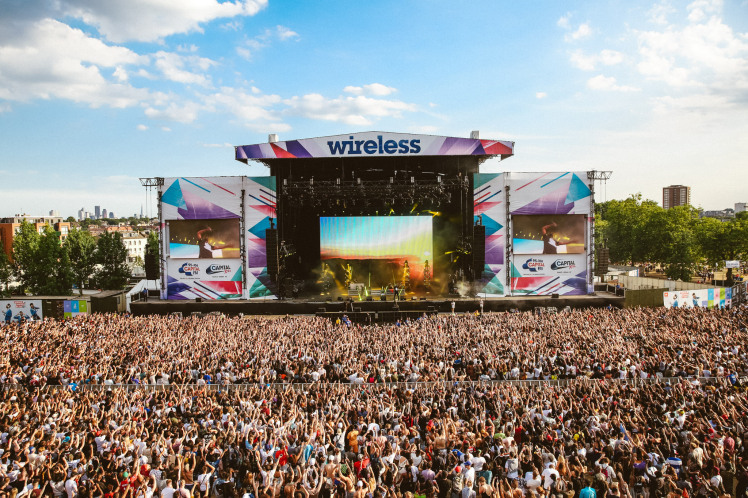 The transformation of Wireless from a peculiar EDM-Rap hybrid into a pure Hip-Hop festival appears to be complete. Returning for its thirteenth year to its home in Finsbury Park, this year’s line-up is stacked with some of the finest rappers and R&B crooners on planet Earth. With tickets selling out within two days of the first line-up announcement, the hype and excitement for this smorgasbord of talent is palpable. Continuing along similar lines from last year, the headliners are split between two American superstars and a rising British star. This year the incomparable “Mr. Platinum with No Features”, J Cole, will take centre stage on the Friday night, local boy and BRIT award winning Stormzy will bring the house down on the Saturday in front of what is sure to be a boisterous home crowd, and DJ Khaled and Friends (who have yet to be confirmed but Rihanna, Nicki Minaj, Jay-Z and Beyoncé have been rumoured) will finish off the weekend on Sunday night. This year’s assortment of supporting talent is deeper and stronger than ever before. Kicking off the weekend in support of J Cole will be Post Malone (bringing his unique blend of rap crooning), Canadian R&B star PARTYNEXTDOOR, rapper Big Sean and a collection of British talent, both young and old, including the Godfather of Grime, Wiley, rising stars Mabel and Kojo Funds, and veteran rapper Wretch 32. The back-up for Stormzy on Saturday possesses a distinctly Atlantic feel, with Atlanta hip-hop trio Migos, rapper French Montana and R&B duo Majid Jordan hyping the crowd before the main event. Young British talent is also prominent on the undercard with breakthrough star J Hus, viral sensation Big Shaq, R&B songstress RAYE and ‘Barkin’ rapper Ramz. Whilst Cardi B can no longer provide the main support for DJ Khaled on the Sunday, the burden will be more than ably shared by a wide variety of superstar acts. Grime star Giggs will undoubtedly get the crowd going whilst Rae Sremmurd, Lil Uzi Vert and Rick Ross will also provide proficient support. ‘Gucci Gang’ rapper Lil Pump will also feature, as will young talents Playboi Carti and Not3s. Unfortunately, all tickets for this year’s festival are sold out, but you can check here for any further details on the line-up and other information for the event, which takes place from Friday 6th to Sunday 8th of July.